The concept behind the new open plan office extension was to create a series of bays for workstations between which would be circulation. This formal arrangement would then be reflected on the floor and ceiling finishes. A storage wall with integrated filling rails and shelving was also proposed linking old with new. 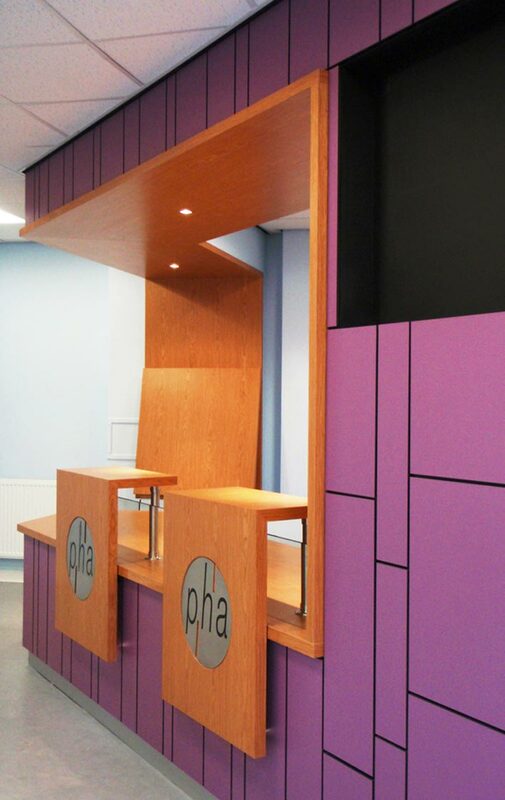 Particular importance and close attention to detailing was being placed on the design of the new reception and waiting area to ensure this has impact while being welcoming to visitors.